I wonder how many times I have made this speech over the years at first light. My speech is well rehearsed and repetitive without feeling mundane. Each time that I describe the process and see success, I smile. Despite what some might think, fishing with live croaker for trout and being extremely successful is art. It’s not as poetic as fly fishing, or as beautiful as sight casting but still requires skill and patience from the angler. I like to compare fishing with live croaker for trout as a combination of a lure and a bait. The croaker alone will not produce, one must “work” the croaker and present it according to the situation. Contrary to some misinformed critics, the trout don’t just jump into the ice chest the second a croaker hits the water. Allow me to explain. Two anglers standing side by side, one working the croaker properly, the other not. The difference can be 10:1 and I see it all the time. That’s where I come into play, I coach the underdog because it’s my job. I like to see 1:1, everyone catching fish, neck and neck, no one is behind. In order to truly understand the technique it requires experience but no harm no fowl with regards to remembering my first paragraph; I repeat it every day I fish for 5 months out of the year for a reason. That is your crash course, refining and polishing the technique can take years. I still miss and loose fish while fishing with croaker. There is no such thing as “shooting fish in a barrel” unless of course you actually have a barrel with fish in it. I’ve yet to see one that I can legally shoot at. Many people ask, “What’s the croaker hype about?” “Why spend 70 cents per bait?” It doesn’t take long to figure it out along the middle Texas coast during the summer months. The simple answer is, they work; however, the reason why is debated. Speckled trout are considered broadcast spawners, meaning that they release their eggs and sperm into the water externally with little regard to the safety of the young. This is the opposite of guarding spawners, which lay eggs in nest like areas and protect the young. Croaker are consumers of trout eggs. The question is, do trout eat croaker because they are hungry or do they simply kill them because they are natural enemies? 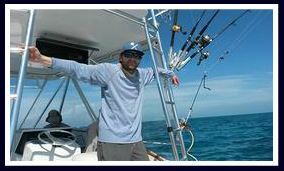 I’m a fishing guide with a background in marine ecology. I would have chosen fish phycology as my major given the choice had that existed. Fortunately my life and profession allows me the opportunity to explore the subject that doesn’t exist. Let’s go further back, way back…It’s no secret that speckled trout and croaker have been sharing the same waters for hundreds, if not thousands of years. I’d love to see what the fishery was like before humans interfered. The Karankuwa Indians had early perspective of the fishery along the Texas Gulf Coast and it’s probably one of the reasons they survived the harsh environment. Everything was different 400 years ago except for a few things; trout probably ate croaker and croaker probably ate trout eggs. Some things never change. What changed are the methods of fishing over time. Bow, arrow and spears transformed into long lines and massive trawlers dragging nets. Handmade canoes transformed into hundred thousand dollar bay boats. I suppose I’m getting old myself because I remember the days that I actually fished for croaker with my grandfather out of a canoe. We didn’t even know what speckled trout were because croaker were so large, plentiful and delicious. Yes, I once fished for croaker, the bait that I use today for trout: And so, the plot thickens…. The once plentiful giant croaker that I caught as a child are now extremely rare. Once in a blue moon I’ll catch one of those rare giants and it takes me back to a simple time. I remember the smell of the grease and the persistent crackling of the batter turning into a beautiful golden brown. There’s nothing better than reminiscing a good day of fishing and planning the next while eating todays fresh catch. So that’s exactly what my grandfather and I would do. I’d like to think that our planning was as productive as our intentions but thinking back it was probably unnecessary; the giant croaker were everywhere. All we had to do was pull up to a random stretch of sandy shoreline and cast dead shrimp on the bottom. My grandfather liked to use tackle large enough to catch sharks for croaker fishing and sometimes I would barley know that I was reeling in two fish at one time on a double drop leader. Ironically every once in a while we’d catch a nice trout: We would act as if we had reeled in a bar of gold. Yes, the times have changed but irony continues to linger. When I catch one of those giant croaker these days they are gold to me. Instead of licking my lips thinking of how delicious it would taste, I tip my hat and send it on its way because I know how rare they have become. I take a little trip down memory lane with hopes of catching one of its offspring someday. Then, without second thought, I open my live well, grab a juvenile croaker, hook it and cast it out with no regret anticipating the defined rod raddling thump from an angry trout. At this second you might be thinking that I have adopted a double standard and for the purposes of speaking the truth I suppose I have. There is a reason why the large croaker have all but vanished and I am a part of the problem, I can’t deny that. My business, as well as many others depend on good reliable bait. Live croaker on the Texas coast is the sole of a billion dollar recreational bait fishing industry. Do I feel guilty? Yes. Am I guilty? No. I am a product of time. You might be wondering what could be done to bring back the big croaker. This however is a different subject on its own and opinions begin to fume the second it’s brought up so I’ll leave it alone. Put it this way, if there was an easy answer some public or private entity would be capitalizing on it. Read between those words. With that said, the next time I see a golden croaker (that’s the actual common name ironically) I’ll kiss it goodbye and tell it sweet dreams. Saying hello to the past in the present is sublime. This is especially true when something as simple as a fish can take you back in time to someplace lost but not forgotten; a good memory. If you know me, then you know what I’m doing tomorrow, if you don’t then guess. Remember… Give the fish no slack because that’s when they spit the hook. Read between those words as well. Understood?